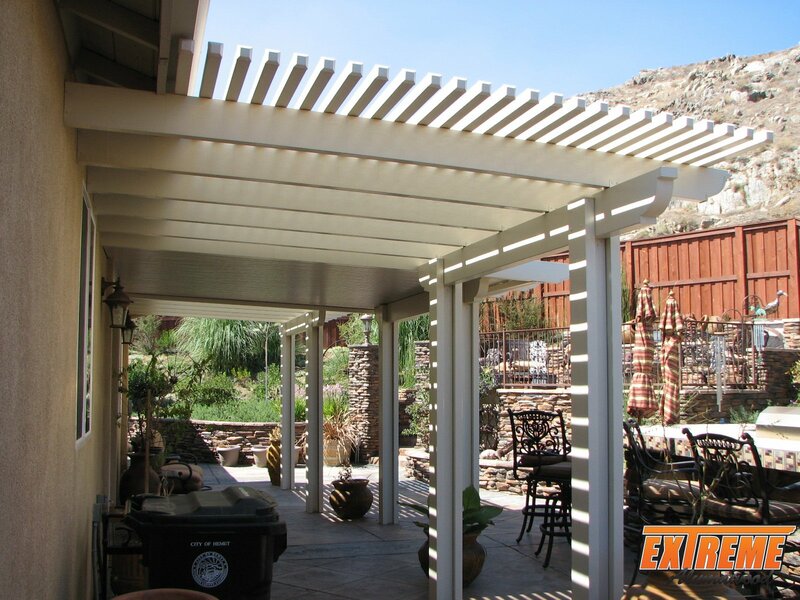 Just what are Alumatech patio covers? 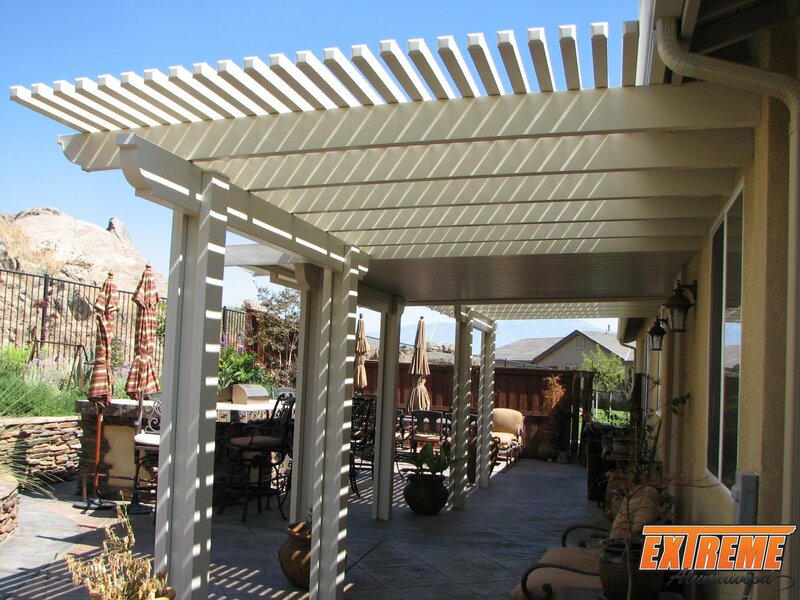 Alumatech patio covers are constructed from heavy aluminum wood textured material. The material is stamped aluminum that’s then pressed and textured. Aluminum makes for an amazing product as it will likely not soak up water like wood does. They will not rot away, typically are not susceptible to termites and tend to be a piece of cake to maintain. 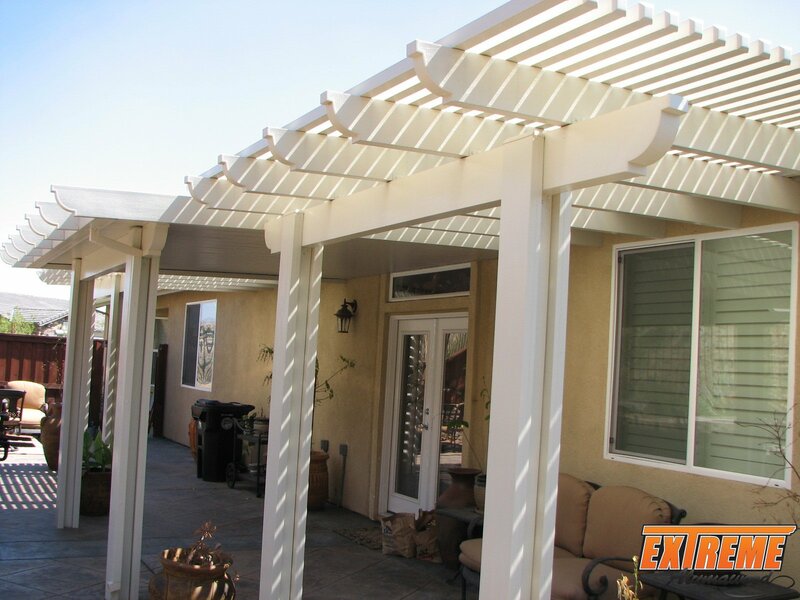 You can be sure these patio covers will last beyond patio covers made of wood and other natural material. Almost no maintenance! 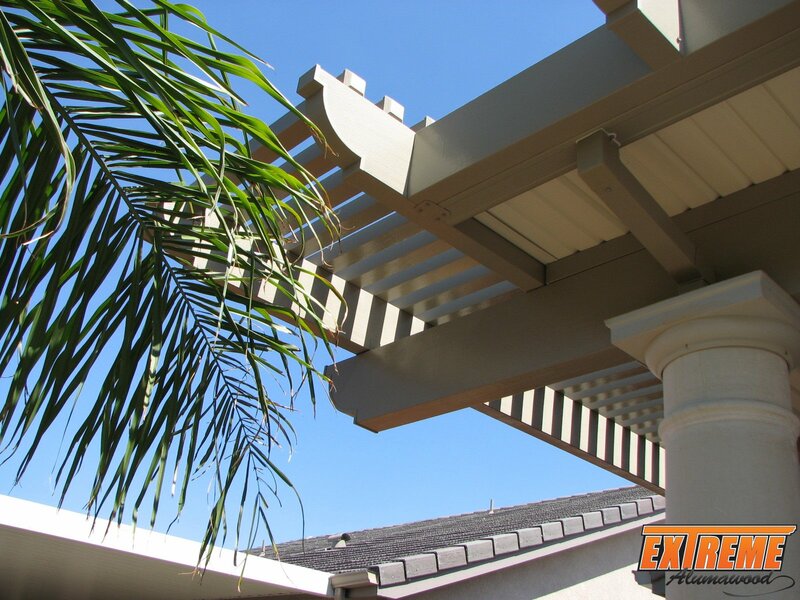 Light weight aluminum material is sprayed with a protected paint that provides a maintenance free patio cover. Backyard residue will have a difficult time sticking to the painted alumatech surface. 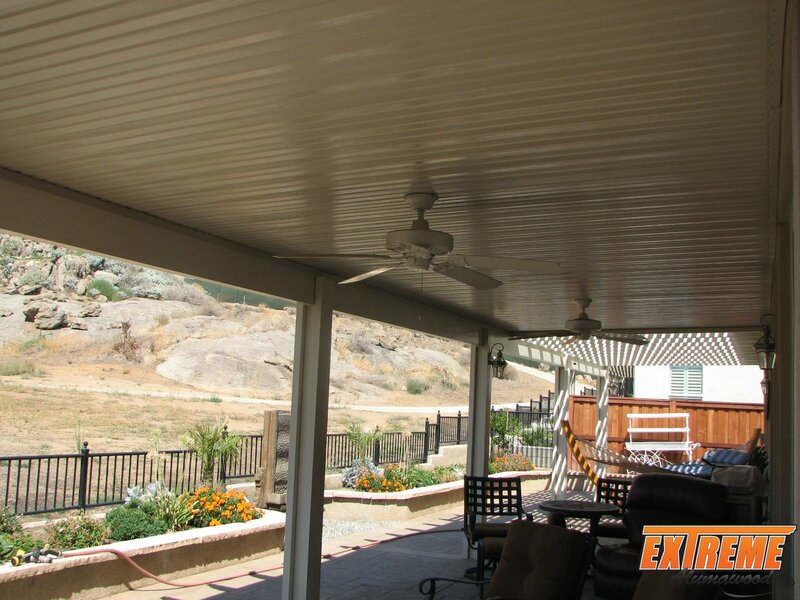 There is no need to bother with having to replace your patio cover when deciding on an Alumatech cover. Alumatech is made from top quality aluminum and is intended to with-stand the day-to-day stress of outside weather conditions. 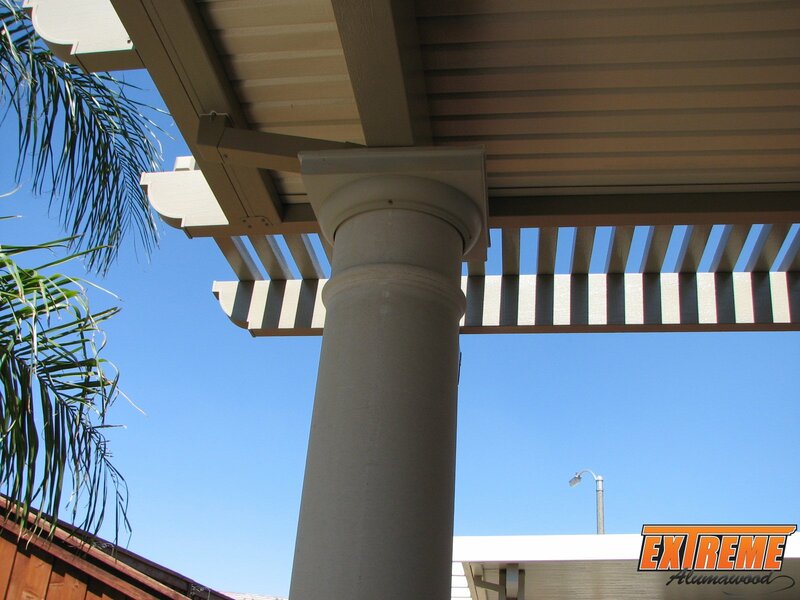 You can expect to enhance your over all appearance of your backyard by adding a completely new patio cover. Alumatech has the look and appearance of wood without having the expense of installation and maintenance which is associated with it. 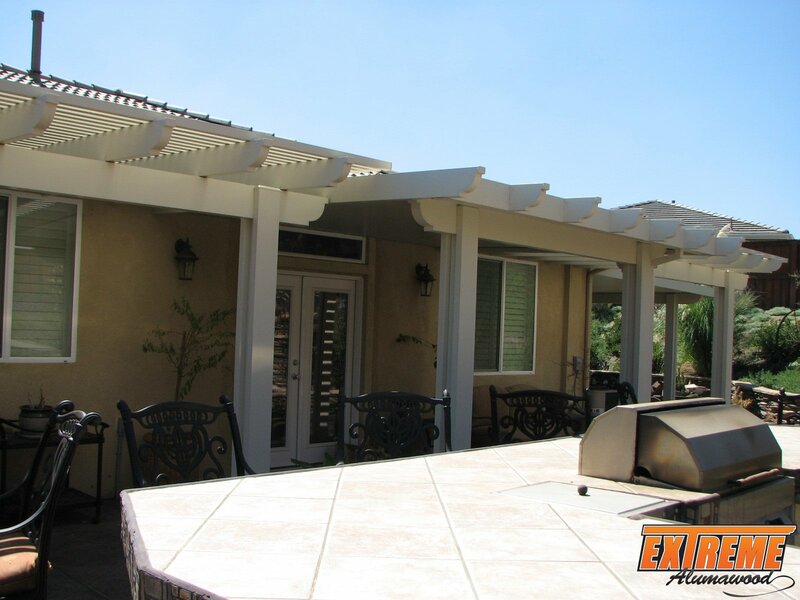 Alumatech offers satisfaction, since you will recognize that your patio cover is weather resistant.It will not burn, rot, warp or split. 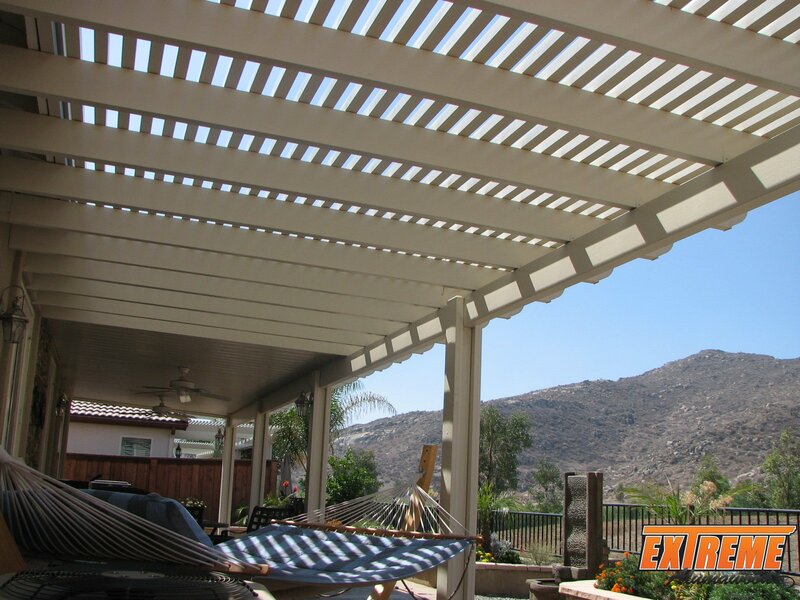 A Lifetime warranty is included with your Temecula Alumatech patio cover. 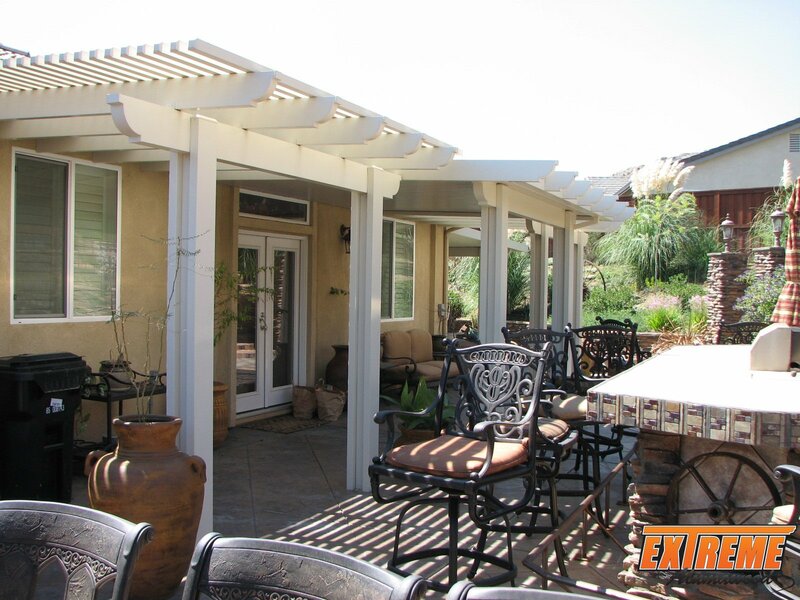 Initially, the cost of this sort of patio cover is nearly the same as that of wood. The major difference is within their durability. Aluminum is known as a much better product than wood which suggests it’s going to last much longer. Aside from that, you don’t need to repaint or service them to look new. 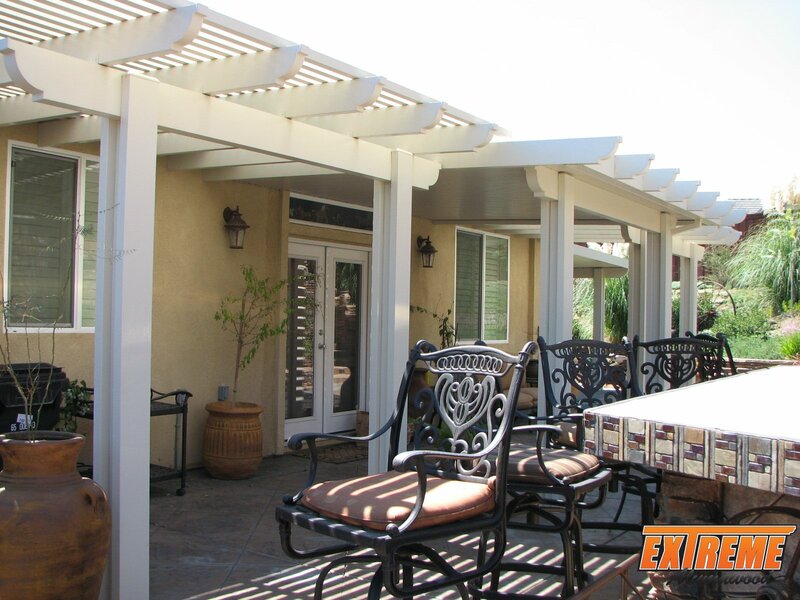 Alumatech patio covers are based from a per square foot fee. 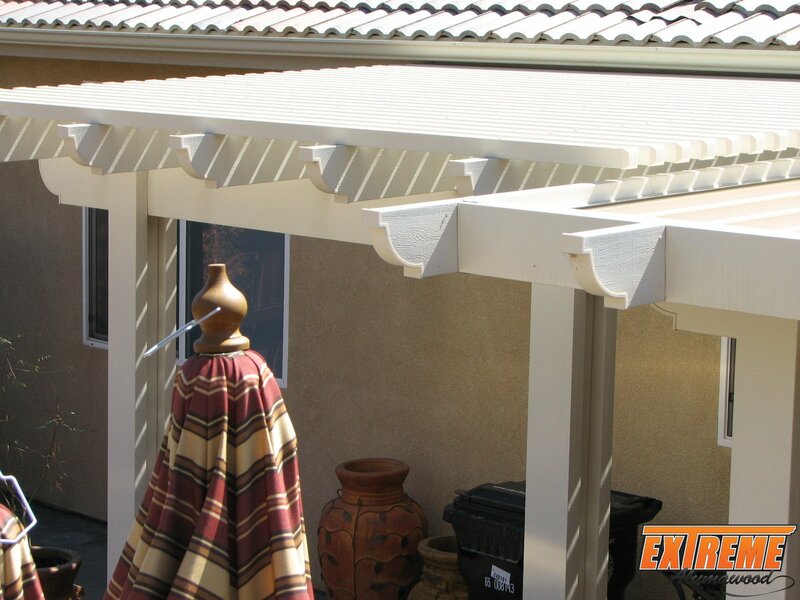 The cost of a basic Alumatech patio cover normally carries a load capability of approximately Ten or fifteen pounds. Since there are many variations in patio areas and size specifications, there will also be great fluctuation with the total costs of installing alumatech. 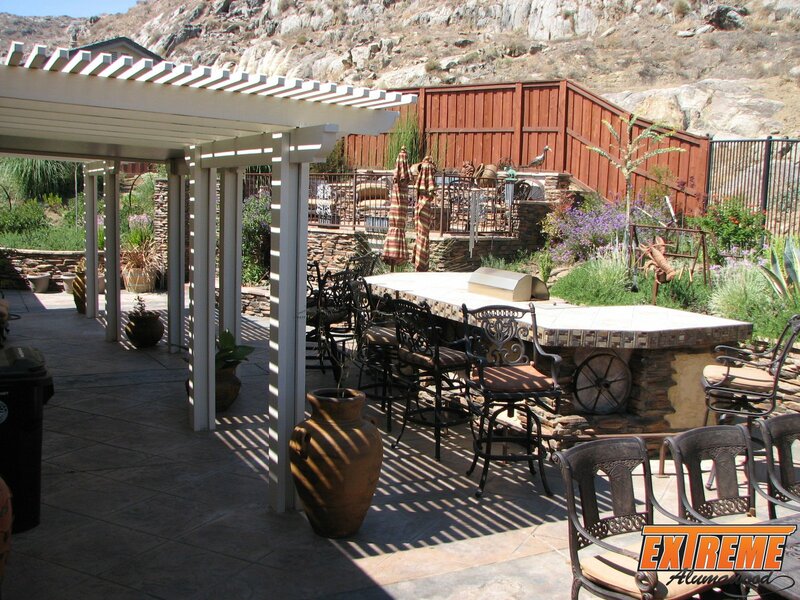 Our highly trained specialists can walk you through the process of choosing your Alumatech patio style and color. 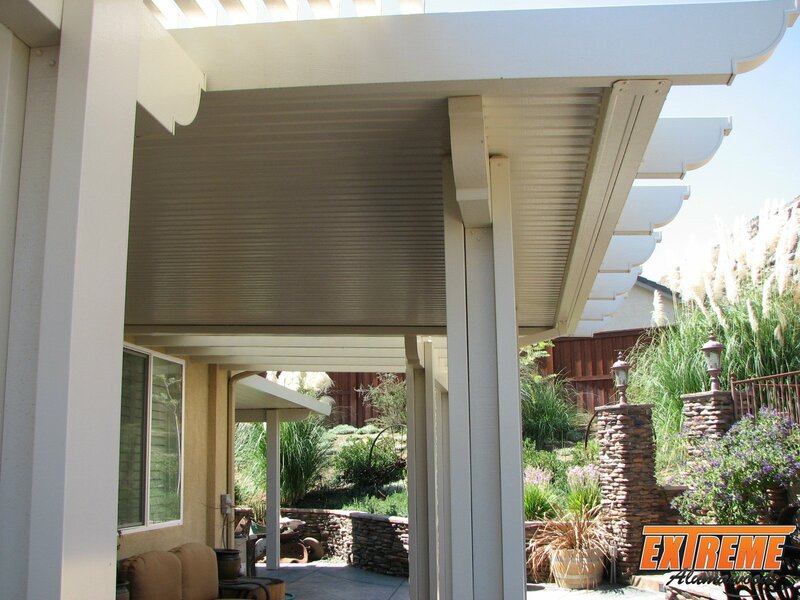 An authorized licensed installer is something you ought to do research on before you start your patio cover project. Non-licensed general contractors will oftentimes offer lower rates to acquire your business but provide lower quality work. A contractor’s license indicates that he’s passed all requirements with the state of California to run and operate a contracting business. 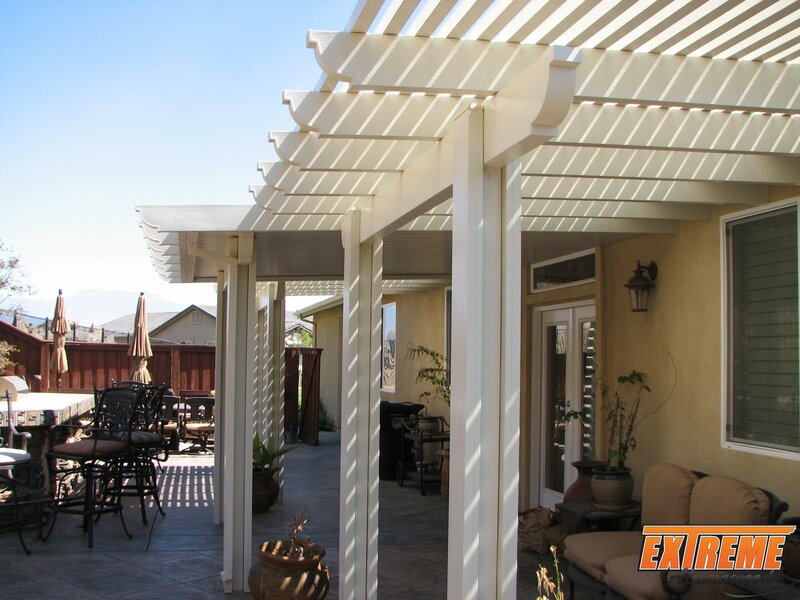 To legitimately build an Alumatech patio cover in Temecula, each state demands this license. Insurance also comes with possessing a state contractors license. Insurance shields you in the event that someone was to get injured while at work. Cost plays a huge role when starting on your home project but make sure you always check the license of the contractor that you choose to work with before you sign any agreement. Temecula is an urban area found in the southwest Riverside County in California. It has an overall population of 100,000 according to the 2010 census. 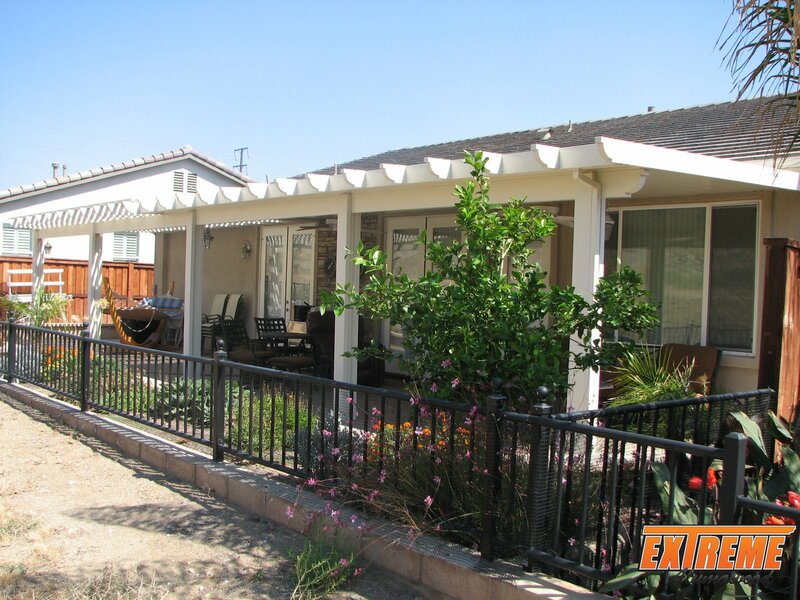 There are numerous military camping grounds in the urban area such as MCAS Miramar, March Air Reserve Base, Camp Pendleton and the San Diego Naval Base. This urban area experiences cool and wet weather condition during wintertimes and dry and hot weather throughout summertimes. It is bordered in the northwest by Murrieta and in the south by the Pechanga Indian Reservation. 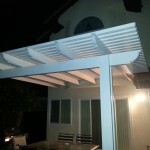 This entry was posted in California and tagged alumatech, alumatech patio covers, ca, california, patio covers, temecula.